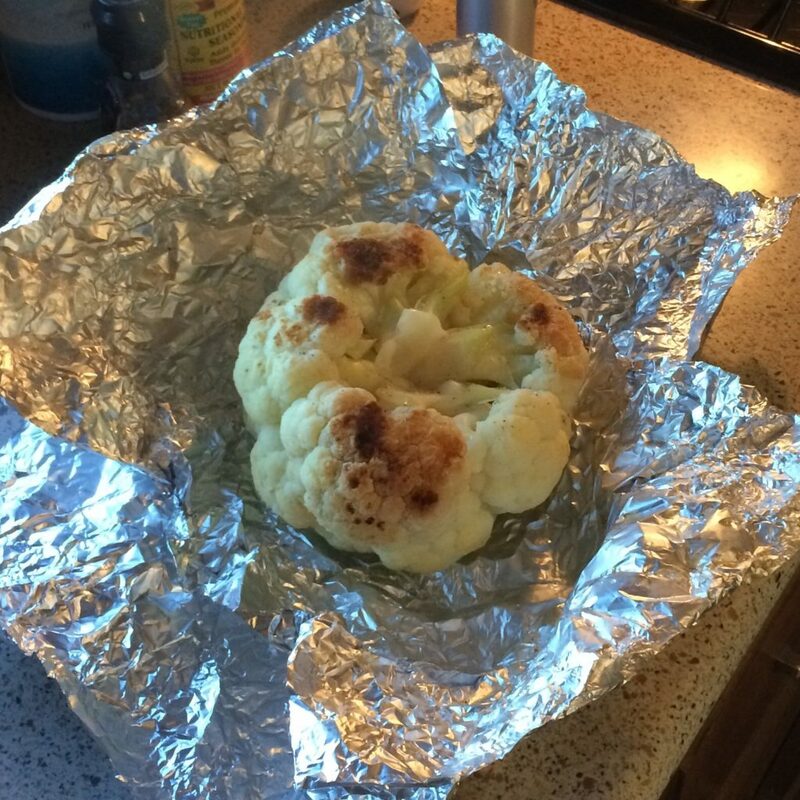 This is an easy way to cook a head of cauliflower on the grill, and the sauce is easy, too. We love this on the side with just about anything we’re grilling, or whenever we want a spicy snack. Clean the cauliflower, remove extra leaves and the bulk of the core. Drizzle with oil if desired, add salt and pepper, and wrap with foil. Cook on hot grill for 30-35 minutes. 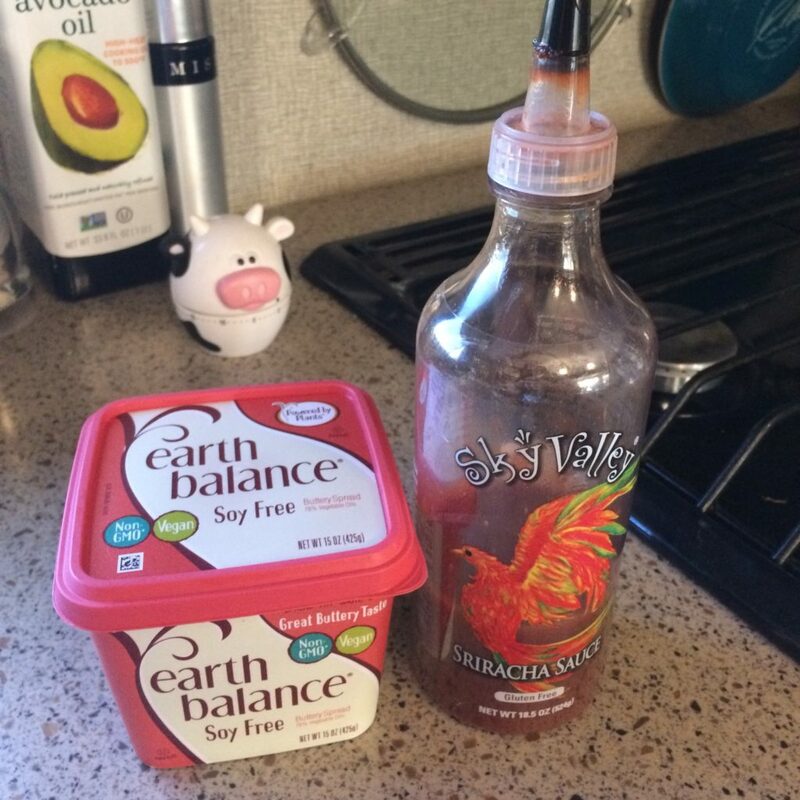 In a small saucepan on low heat, melt the butter and whisk in sriracha, until blended. 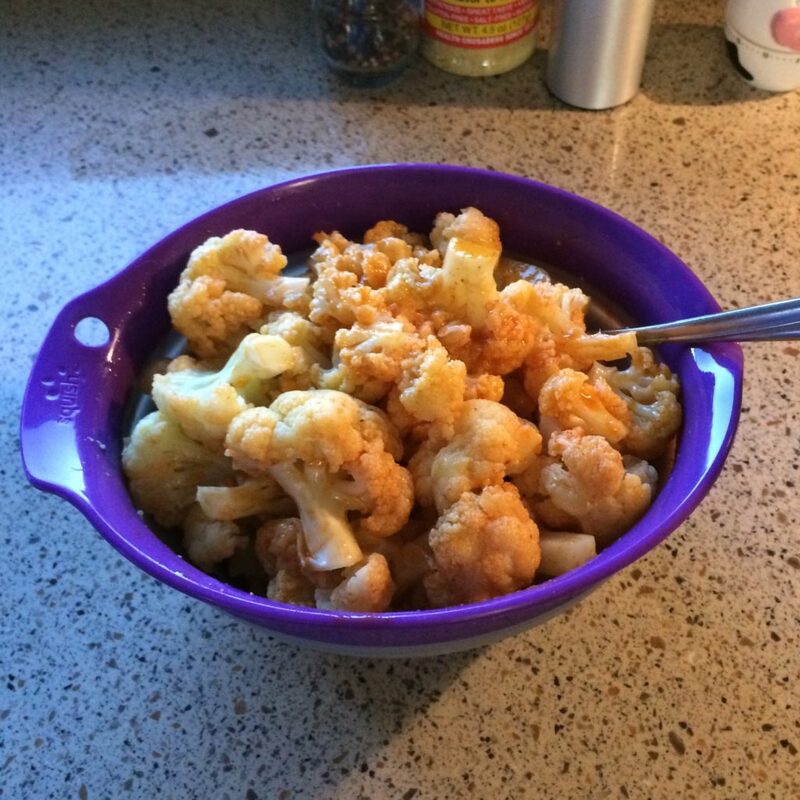 When the cauliflower is fork tender, cut off florets and cover with buffalo sauce. Serve with ranch dip or sour cream, if desired. If you don’t like buffalo sauce, substitute your favorite barbecue sauce, Thai peanut sauce, marinara sauce, or dip plain grilled cauliflower in ranch dressing.